When we get days on end of trying to bird under a stormy sky we sometimes have to admit defeat and stay home! When even the bitumen roads are being closed due to flooding then you know you just have to wait it out and the birding will be greatly improved once the tropical lows pass through. It doesn’t mean you have to entirely give up on looking at birds and using your observation skills, though. 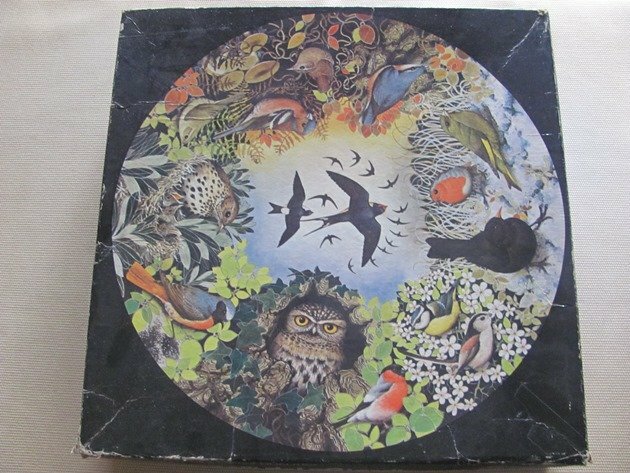 Although it is 2017 we still enjoy the good old fashioned jigsaw and we have several bird jigsaws that we have acquired over the years. 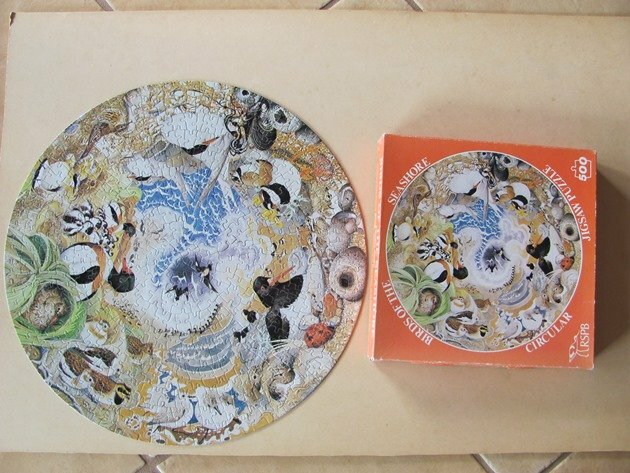 My parents have found some old RSPB circular jigsaws over the years and they are fun to do. 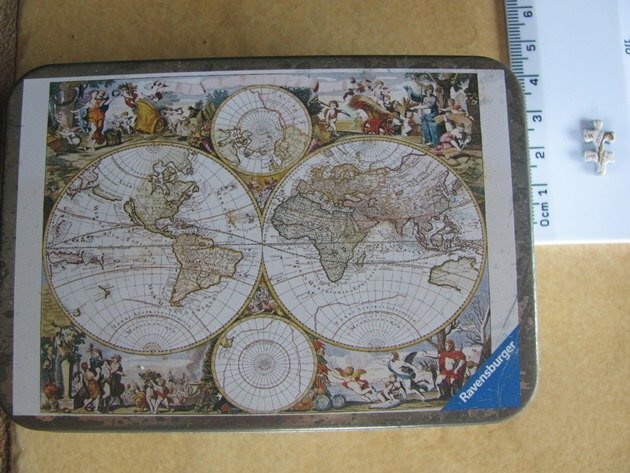 Some of you may be familiar with these jigsaws from the last century! Maybe you are too young to even know what I am talking about! 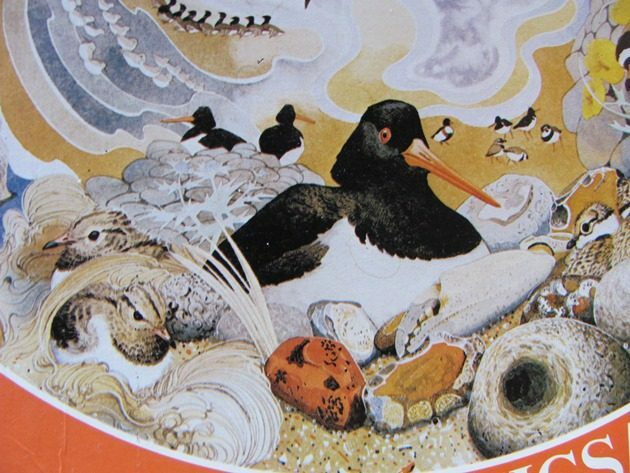 Of course we own a jigsaw with an Oystercatcher on it! We are methodical with jigsaw and firstly we find all of the edge pieces and then focus on different sections until it is complete. 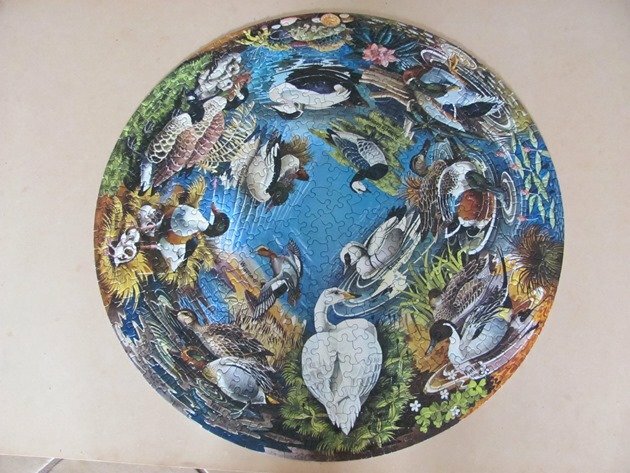 The RSPB also produced a few other circular jigsaws last century including Wildfowl, Garden Birds and Birds of Prey. 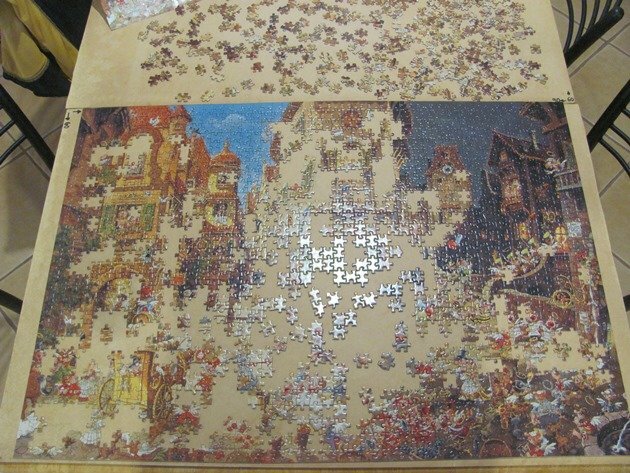 This week’s challenge has been a favourite Heye jigsaw that has overtaken the dining room table and is progressing well while the rain continues to fall! 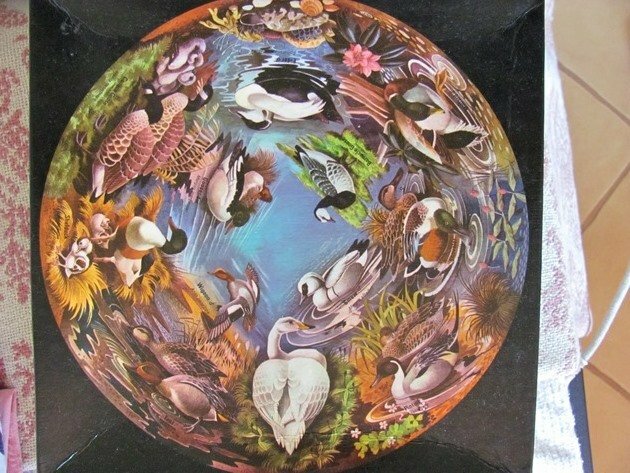 Heye know how to make jigsaws fun and they are complex pictures to test your observation skills and that has to be useful to birders! 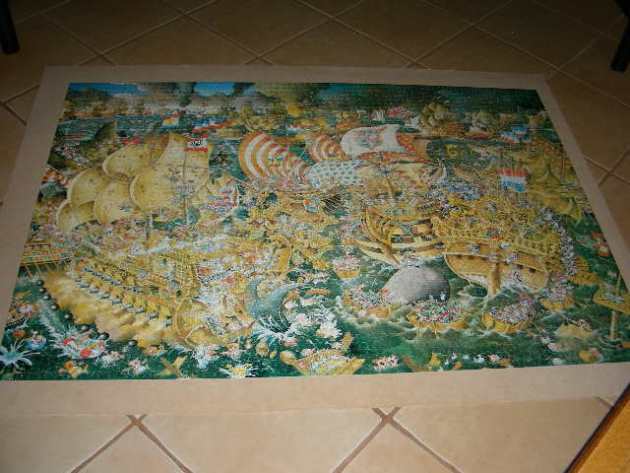 The largest jigsaw that we own is 4000 pieces and requires a lot of observation skills! It also takes up part of the floor rather than the dining room table! At approximately 136cm by 96cm it is not for the faint hearted! 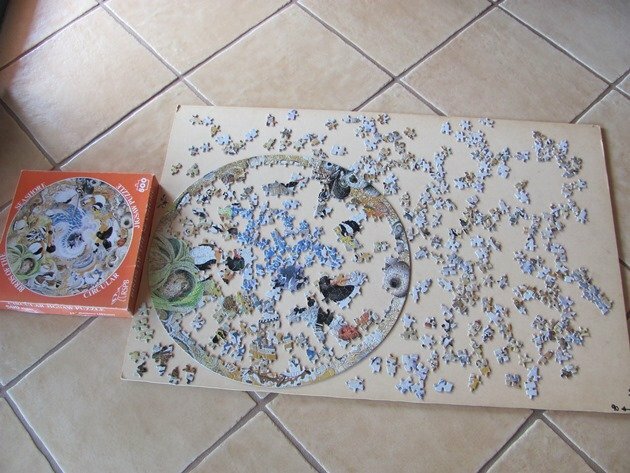 Obviously you won’t be attempting a jigsaw like this is you have small children or pets! These are very good quality jigsaws though that will last for many years. 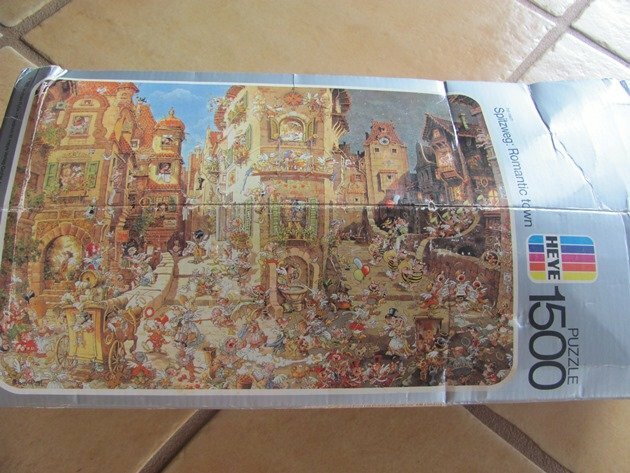 There are new Heye jigsaws being added all the time and the Germans really do know how to make a good jigsaw! 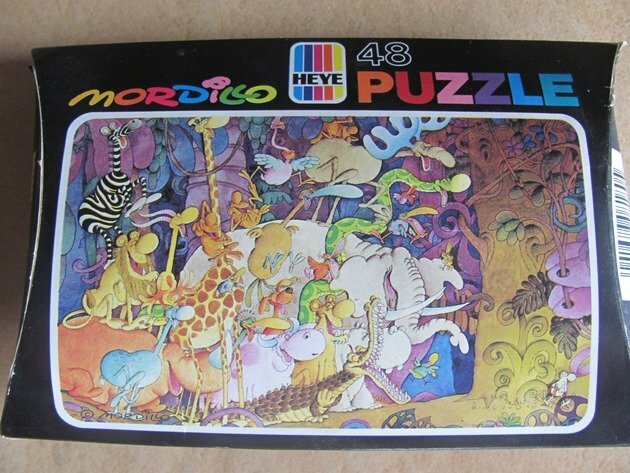 The Heye cartoon jigsaws are the ones we own mostly and enjoy doing due to their complexity and colourful themes. It is fun to have a few small jigsaws around the house too and there are two small ones that we own that are quite the opposite of each other. One takes literally minutes to put together and the other takes some time longer due to the pieces being miniature to say the least! 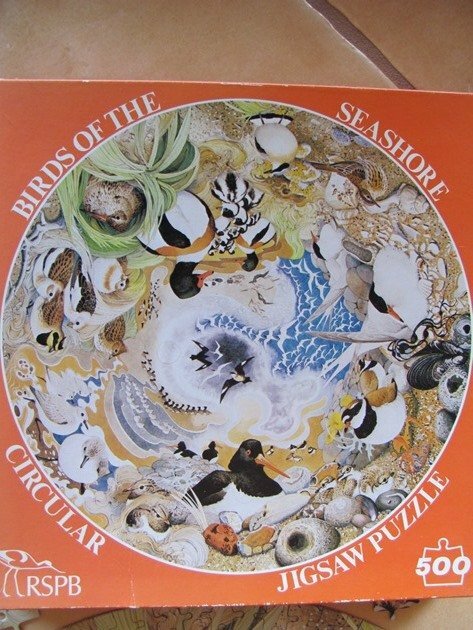 Maybe there are a few other birders out there that secretly do these old-fashioned jigsaws in wet weather! Maybe I have brought back some fond memories of times gone by. 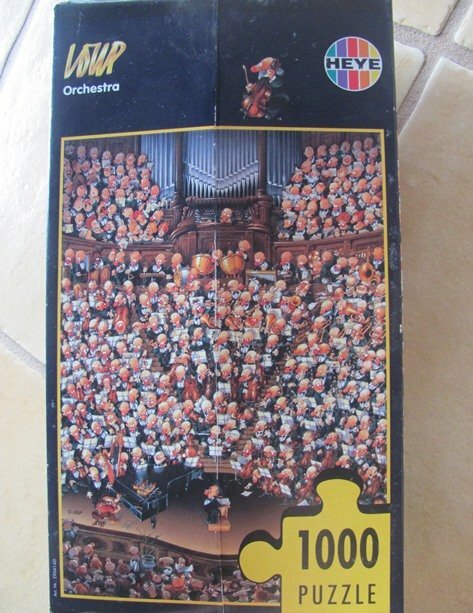 Do you also want to confess to owning some good old-fashioned jigsaws!? What a fun post! 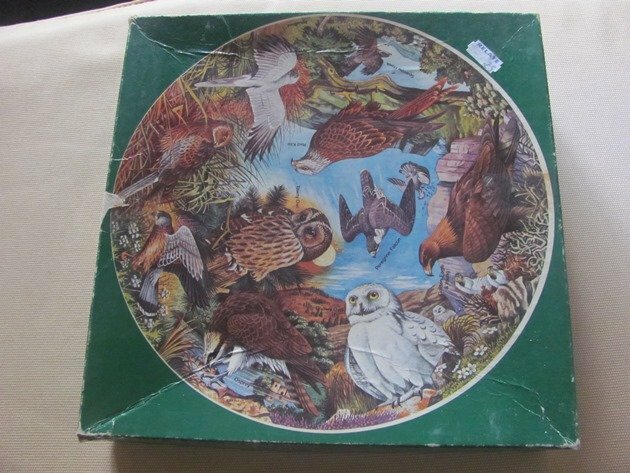 Those RSPB jigsaw puzzles are stunning. I haven’t done jigsaws since I had mononucleosis and was housebound for weeks, but this post is making me think it’s an activity I should revisit. My wife loves Jigsaw Puzzels, but with the cost of buying them new, and lack of availability here in Mexico, has resorted to doing them on line. She uses http://www.jigsawplanet.com/ I guess anybody can use the site with out joining, but if you register, you can time your work, and have better search ( Like for birds) than just opening the main page. I guess you also have limited space on a sail boat too! Charity shops are a good place to look for them in some countries. Where Are You Birding This First Weekend of November 2013?